Beller Collection wins Best of Year! 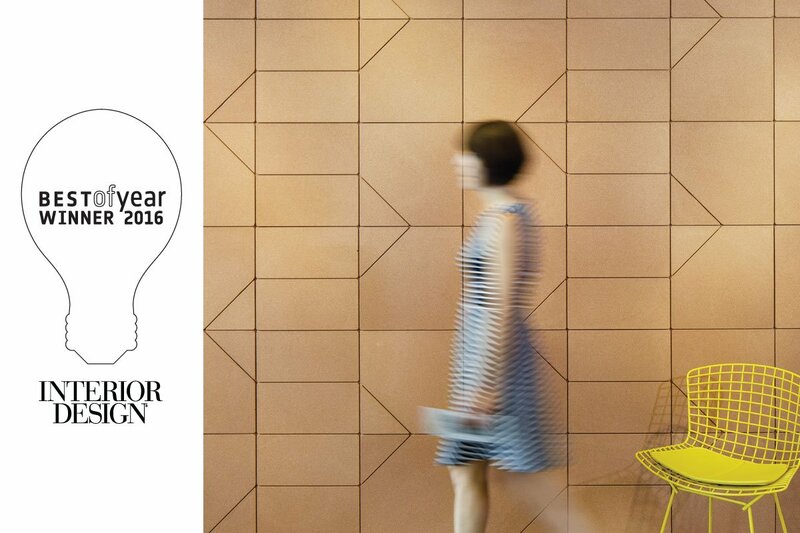 The Beller Collection has been named an Interior Design Best of Year award winner for Wall Application: Acoustical! Interior Design’s Best of Year is the design industry’s premiere design awards, honoring the most significant work of the year as well as recognizing designers, architects and manufacturers from around the globe. Now celebrating its 11th year, Interior Design’s Best of Year (affectionately known as BoY) has become the ultimate measure of excellence, showcasing what’s happening today in every category of design while simultaneously setting the design bar even higher for the future. The BoY awards ceremony draws 1000+ worldwide attendees. Winners were announced at last night’s ceremony at Frank Gehry’s IAC Building in New York and take home the coveted Best of Year Bulb award, designed by icon-to-be Harry Allen.